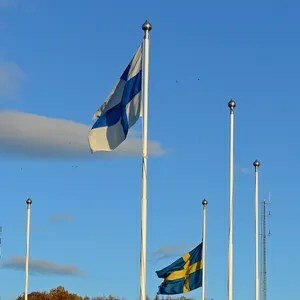 HELSINKI — Closed-door diplomatic talks between Finland and Russia have been set in motion to soften Russia’s growing hostility toward and distrust of the Nordic nonaligned states’ ever-deepening relationship with NATO, according to sources within Finland’s Ministry of Foreign Affairs. Moscow’s concern is that Finland could form a joint pact with Sweden to join NATO in coordinated, simultaneous action. The behind-the-scenes talks, which have been confirmed by the Finnish Parliament’s Defence Committee chairman, Ilkka Kanerva, are expected to lead to a series of high-level discussions that will culminate in a meeting in Finland between Finnish President Sauli Niinistö and Russian counterpart Vladimir Putin in July. Russia’s displeasure with Finland’s closer relationship with NATO was in clear sight when the foreign ministers of both countries met in Moscow on June 6. “We have a negative view on the movement of NATO’s military structure towards our borders. We do not want to see this lead to the dragging of new states in to the military organization,” Russian Foreign Minister Sergei Lavrov said. “I’m confident that our Finnish friends and neighbors also understand this position,” he said. The foreign ministers’ meeting happened against the backdrop of the NATO-led annual Baltops 16 multinational exercise taking place in Finland. This is the first Baltops on Finnish soil. The exercise, which comprised some 20 NATO and partner nations, was organized by the alliance’s Naval Striking and Support Forces. More than 6,000 troops are participating. Finland has repeatedly reminded Moscow that the country’s deepening relationship with NATO will remain a matter for its national parliament, and potentially the electorate should NATO membership be decided by referendum. “Finland will act independently to achieve the aims of our own security,” Finland’s Foreign Minister Timo Soini said. He added that Finland’s decision to host the NATO exercise formed part of its intention to play a role in the security of the neighboring and increasingly militarized Baltic Sea region. “Finland may not be a member of NATO, but we are taking security challenges we face in our neighborhood seriously. We are in close cooperation with NATO and deepening our cooperation with Sweden. We have no ulterior motives or objectives,” Soini said. Diplomatic talks, mainly through back-channels, will continue through June. 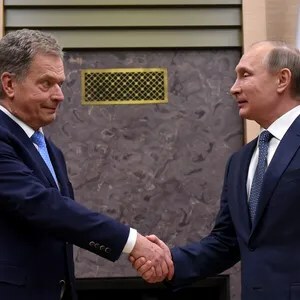 The meeting between Putin and Niinistö, who is commander-in-chief of Finland’s armed forces, is set to take place at the president’s southern coast summer residence in Naantali. “While relations between Moscow and Helsinki cooled in the wake of Russia’s annexation of Crimea and intervention in Ukraine, Finland simply has too many reasons, including national security, trade and tourism, to want to retain a strong, working relationship with Russia,” said Tomas Haas, a Berlin-based political analyst. Finland, which has an 833 mile eastern border with Russia, set about rebuilding robust political and security bridges with Russia after World War II, Haas said. “Despite the wars and battles fought, there is the mutual respect factor. There is a lot of respect and understanding on both sides. Of any Western country, Finland has the knowledge and diplomatic channels to calm nerves in the Kremlin over NATO,” Haas said. Be the first to comment on "Finland, Russia in Talks Over NATO Relationship"